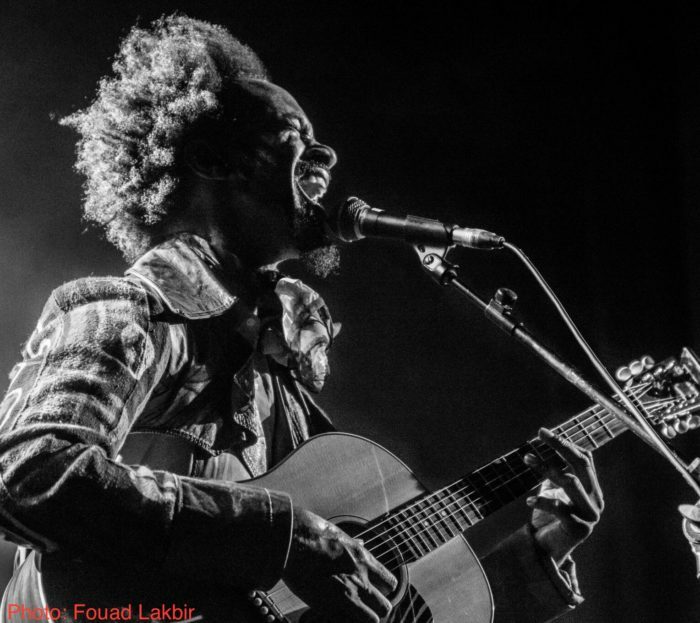 Fantastic Negrito is a man’s struggle and redemption told in the form of black roots music. Each song the true story of a musician from Oakland who experienced the highs of a million dollar record deal, the lows of a near-fatal car accident that put him in a coma, and now a creative rebirth. Negrito’s music emphasizes rawness and space. Slide guitar, drums, piano. Rather than update the Delta Blues, Fantastic Negrito leaves the original sounds of Lead Belly and Skip James intact, building bridges to a modern sound with loops and samples of his own live instruments. But the primary element that drives Fantastic Negrito’s music is uncut realness and zero concern for “pop” anything. Raised in an orthodox Somali-Caribbean Muslim household, at age 12 Negrito’s family moved from Massachusetts to Oakland, a million miles from Negrito’s conservative childhood. He went from Arab chants to Funkadelic in one of the wildest, most vibrant black communities in the nation. By age 20, Negrito had taught himself to play every instrument he could get his hands on. He packed his bags and headed to LA, armed with a cassette demo. He signed with a big-time manager and scored a million dollar deal at Interscope. And soon after: creative death. Gangsta rap ruled, and Negrito came out of the deal with a failed album and gutted confidence. So he quit. In 2000 a near-fatal car accident that put him in a coma for 4 weeks. His muscles atrophied while bedridden, and he suffered months of frustrating physical therapy to regain use of his legs. Rods were placed throughout his body. His playing hand was mutilated. Though he rehabbed intensely for years, the damage was permanent. In 2008 he returned home to Oakland, planted vegetables, raised his own chickens, and made money growing weed. His conservative Muslim values somehow melded with the liberal, multi-cultural world of Oakland. The cynicism that comes from struggle made room for the hope that comes from cheating death. He became more confident about his place in the world. And then his son was born, and all the creative energy bottled for years came rushing back out. He began recording without the hindrances that come with chasing trends, turning to the original DNA of all American music, the Blues. He’s touring with Sturgill Simpson, another artist who has forged his own unique path. He’s an NPR Tiny Desk Concert winner. Though he never sought it, he won a Grammy in 2017 for his superb The Last Days of Oakland album.